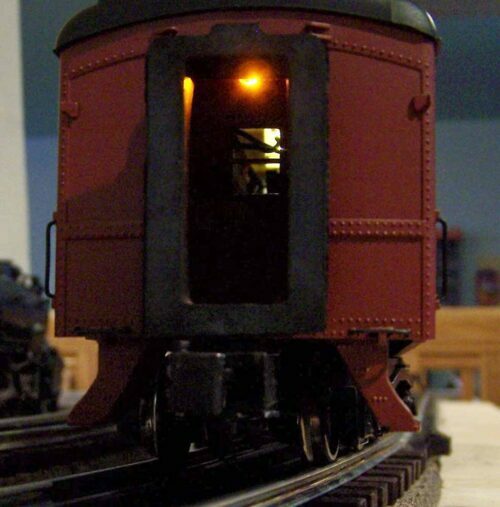 O Gauge Passenger LED Lighting for cars of all makes. 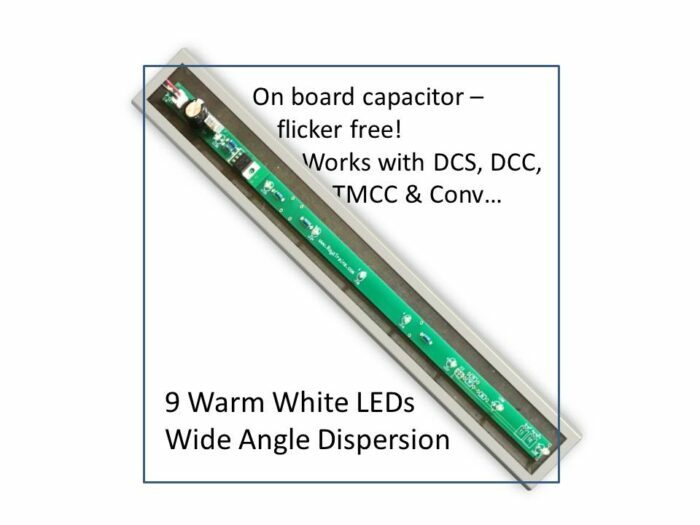 Provides flicker free even lighting for passenger cars (scale or three rail) of 15 5/8” interior length or longer from track voltage. Full brightness typically occurs at 8.5 Volts (AC or DC). This supports operation with conventional or command control. Brightness level is user adjustable. MTH Premier version is plug compatible for easy installation. 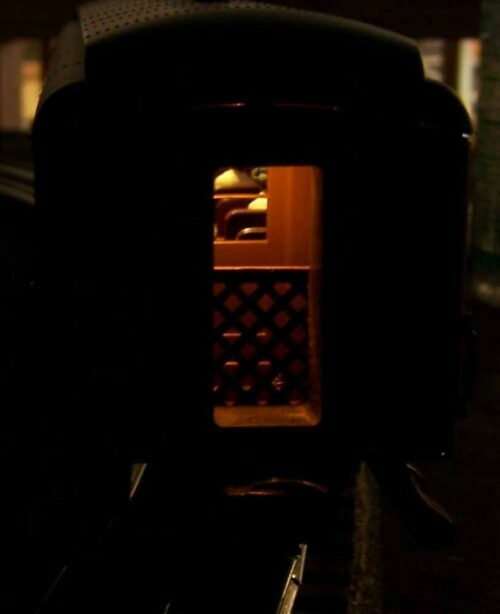 Depending on car, vestibule lighting is supported either directly or with add-on lighting as desired. 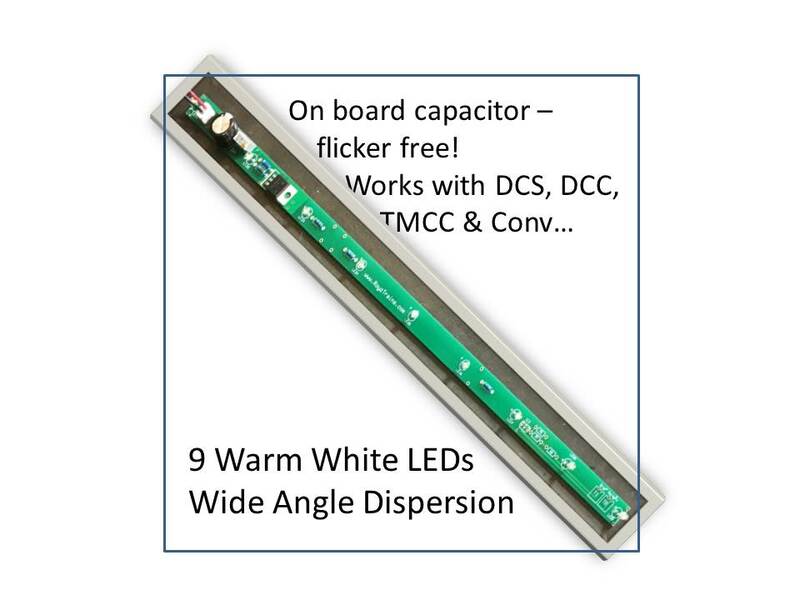 The Non-MTH Premier and 80″ (up to 84″) long car kits come with 6″ tail and plug on board to solder into existing wiring. For 2-rail scale operation, order the Non-MTH Premier version. Double-sided tape provide quick installation on the ceiling of the car. The MTH Premier version is plug & play with matching MTH compatible plug. All boards have double sided 3M tape to attach (one time use) to the ceiling of the car. Typical installation time is 15 minutes. GGD version takes longer.